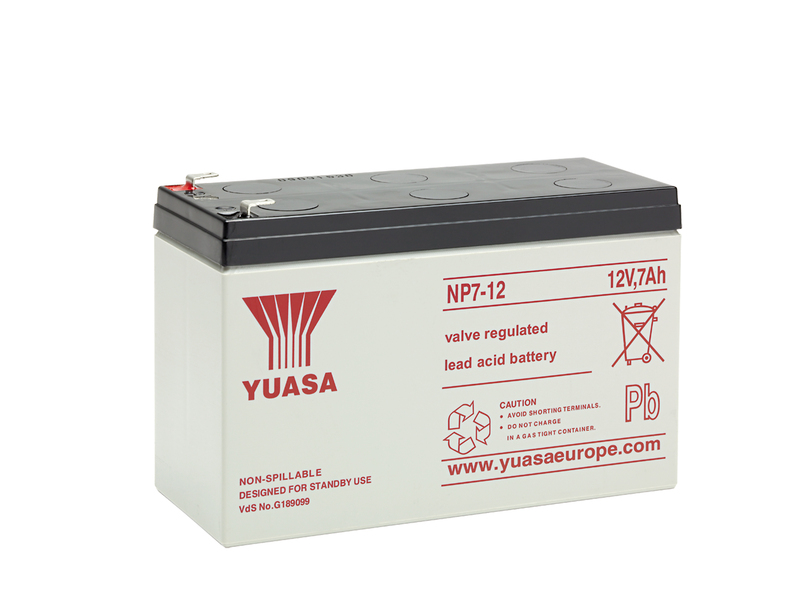 Yuasa NP7-12 Battery is from the Yuasa's optimum design range of sealed valve regulated lead acid batteries. Yuasa NP7-12 Battery utilises the latest advance design Oxygen Recombination Technology which makes it one of the best industrial batteries in the market today. There is no electrolyte leakage because of the battery's unique style of construction. It may be used in either standby or cyclic applications, achieving up to 1200 charge/discharge cycles. Typical uses of Yuasa NP7-12 battery include applications such as memory back-up systems, test equipment, fire and security alarms as well as golf trolleys, wheelchairs, emergency lighting, lawn mowers, electric tools and measuring instruments. When it comes to reliability, look no further than the Yuasa range. Can't go wrong with Yuasa NP7-12. Premium brand battery and last longer. Quick dispatch, item exactly as described.